On Sunday, February 19th, Allegiance will be broadcast in theaters for a second time. The one night only event last December broke records for Fathom Event sales. “The premiere was its highest-grossing one-night Broadway musical event to date, the 14-year-old company said, bringing in more than $1 million in ticket sales in about 600 theaters.” The filmed Broadway musical focuses on the experiences of Japanese-American citizens in internment camps during WWII. The musical stars George Takei, Lea Salonga, and Telly Leung, and partially draws from Takei’s own experiences. Hairspray Live. Where to start? This may have been NBC’s best live show yet, but that isn’t saying very much. Taking a hint from Fox’s Grease, they transitioned this live production into a multi-set, live audience production. While I very much enjoyed this production there were some obvious setbacks. The first thing that has to be noted is the cultural relevance. If there was ever a time that Hairspray needed to be done it was now. The positive messages about peaceful protesting in the face of hatred, bullying and racism, are exactly what we need. Art mimics life and that is exactly what happened tonight. Jennifer Hudson’s rendition of “I Know Where I’ve Been” was incredibly powerful and moving. So, big news readers. Like fangirl freaking out at the top of her lungs news. 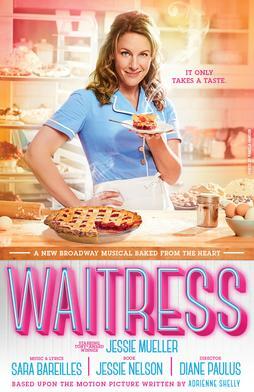 My favorite musical is coming back to Broadway – and I can truly not stop shaking with excitement. Sunset Boulevard, the Andrew Lloyd Webber adaptation of the famous Billy Wilder movie, came to the Great White Way in 1994 and won the Tony for Best Musical in the process. It tells the story of Joe Gillis, a down and out Hollywood screenwriter, who suddenly pulls into the driveway of a has-been silent movie star, Norma Desmond, and the two begin an incredibly dangerous relationship. The show was famous for its casting drama, with Patti LuPone, Faye Dunaway, and many other glamorous stars involved. 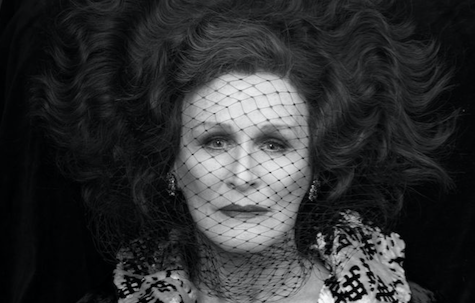 But the person most people remember is the original Broadway Norma, Glenn Close, who also won the Tony for the role that year – and she will also be returning to the show. Is this a Broadway nerd dream come true? Well, it might not be for everyone – but for this 90’s Webber loving kid, it is the greatest dream to come true in my nerdy life. So to celebrate such an announcement, I thought I’d speculate (or dream some more) who could be cast in this new revival. Of course, there’s the chance that the recent London Lonny Price revival (for which the Broadway revival is also directed by) will send their cast over, but until that announcement is made, let’s put on our Technicolor Dreamcoats (#WebberReference) for what this Sunset Boulevard 2017 cast could be. Terrance Zdunich and Saar Hendelman, who most recently collaborated on Devil’s Carnival: Alleluiah! are touring again! This time, they’re taking their newest project, American Murder Song, on the road. Zdunich and Hendelman are calling this the American Wake Tour, and tickets are available here. Every summer, The Public Theater puts on two free shows. There’s usually a joint theme between the two, and at least one is always by Shakespeare. This summer started with The Taming of the Shrew, and will be followed by Troilus and Cressida, bringing to life the theme, “Lovers at war, warriors in love.” These shows are difficult to get to for two reasons. One: you have to be able to get to New York City. Two: you have to line up for tickets very early in the morning, or win the digital lottery. Fandom tends to be seen as an inherently male interest. We have so many cultural stereotypes enhancing this belief. From The Big Bang Theory to “the fake gamer girl,” nerdiness always seems to start as something male, and then move towards women. For a while, this was pretty accurate. In 2010, only 35% of New York Comic Con attendees were women. However, as time goes on, these men get married. They have kids, and they pass on their nerdy genes. Waitress has been a collective favorite movie in my family for a while. When we heard it was coming to Broadway we knew we had to get tickets. We were lucky enough to see it while in previews and were not disappointed. Theater Thursday: News Edition – School of Rock Updates, Harry Potter Photos, and more! Hello readers! Theater Thursday is back at it again, this time taking a look at the big news coming your way in the theater world. We got tons of casting news, updates on shows we love, along with Tony Awards excitement and more! So what are we waiting for? Let’s take a look at all this theater goodness.